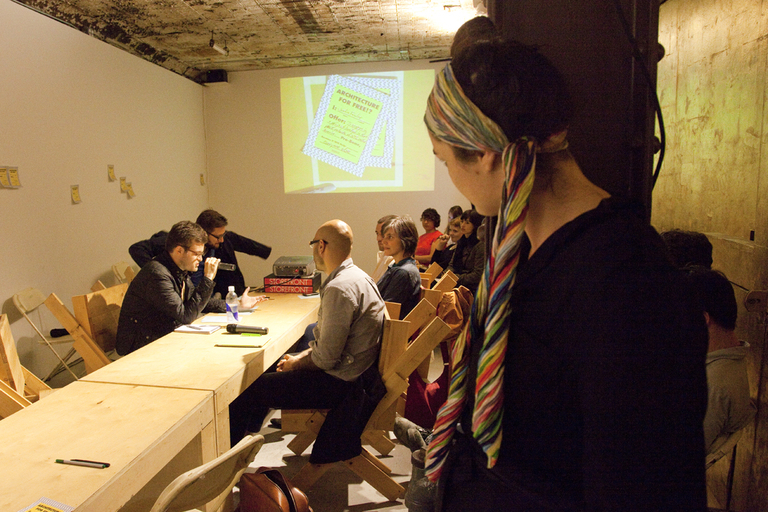 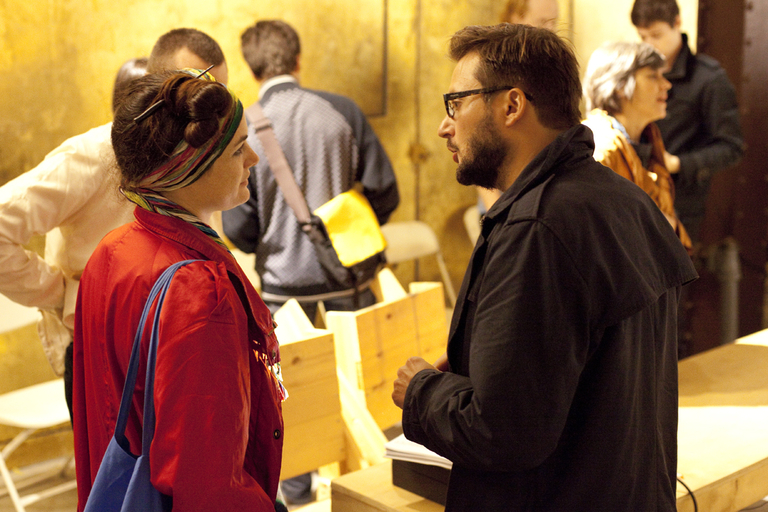 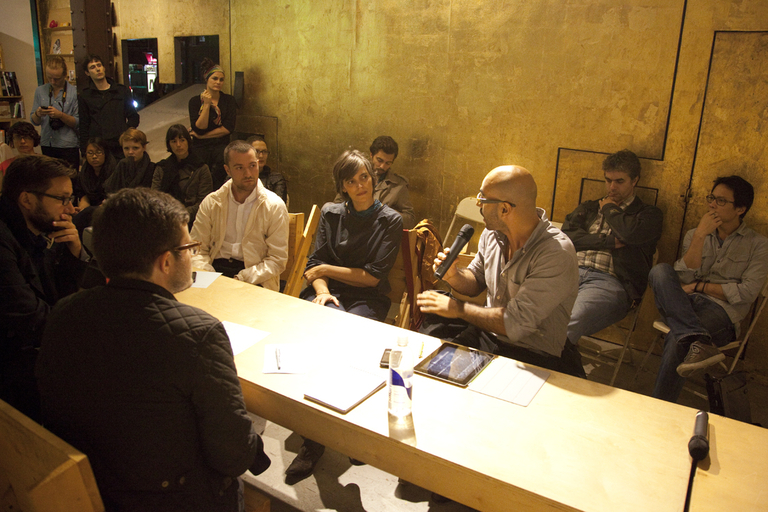 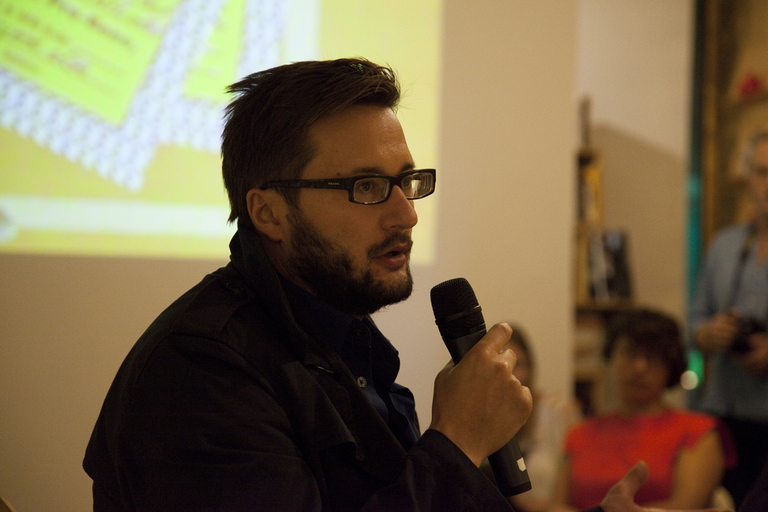 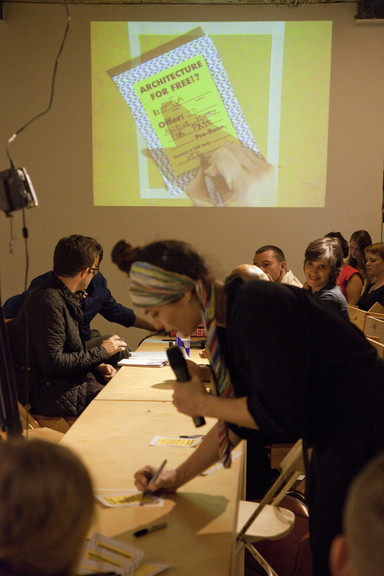 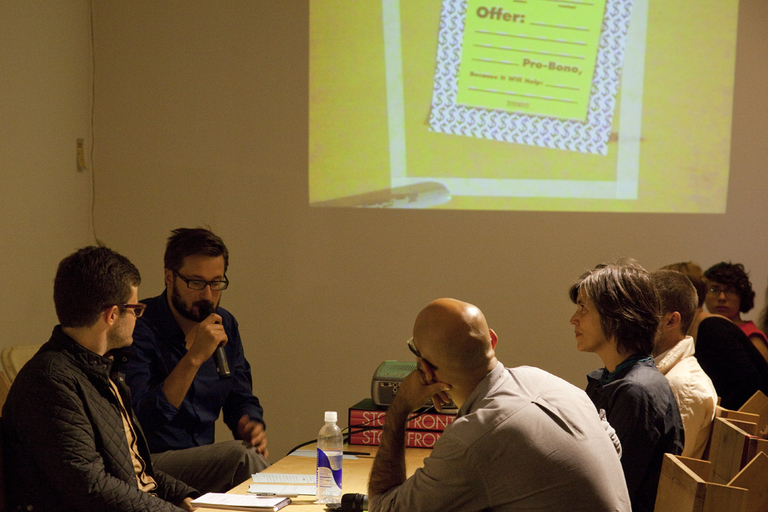 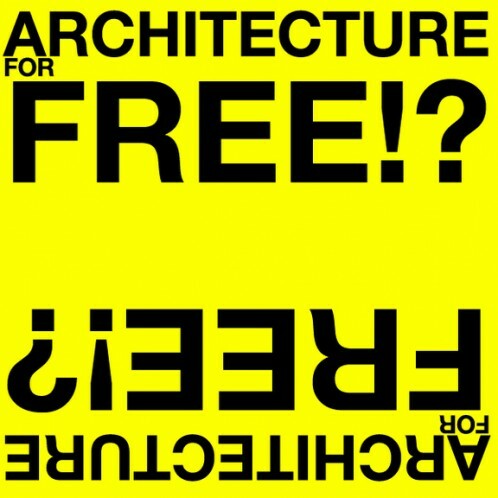 Storefront for Art and Architecture | Archive: ARCHITECTURE FOR FREE!? home • archive • ARCHITECTURE FOR FREE!? 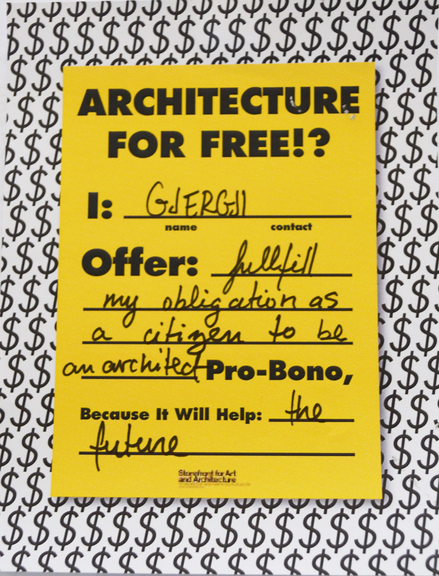 Architecture, in its most idealistic sense, is always geared towards the construction of the public good. 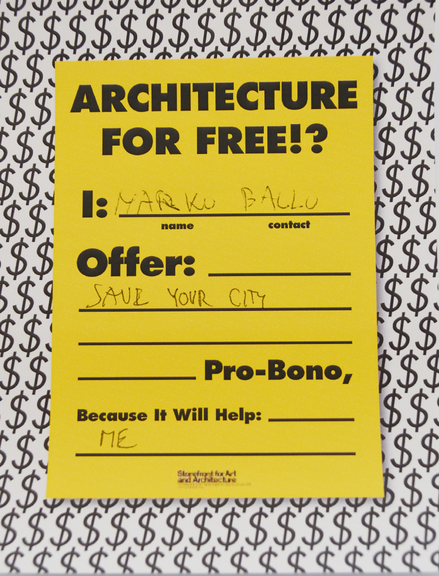 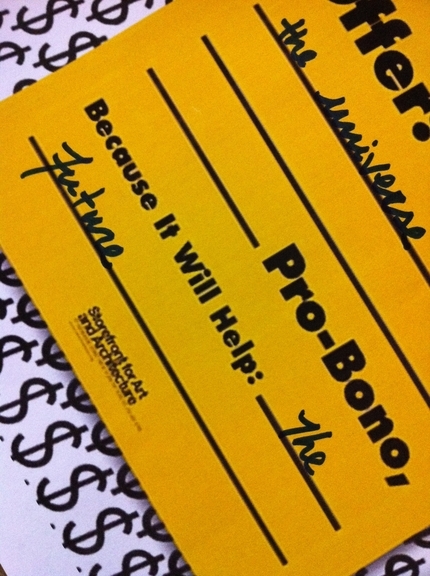 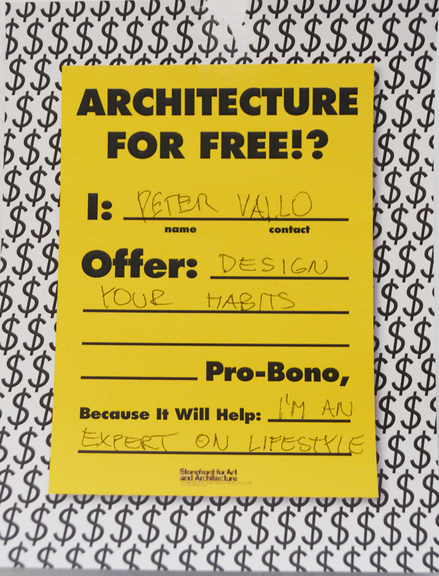 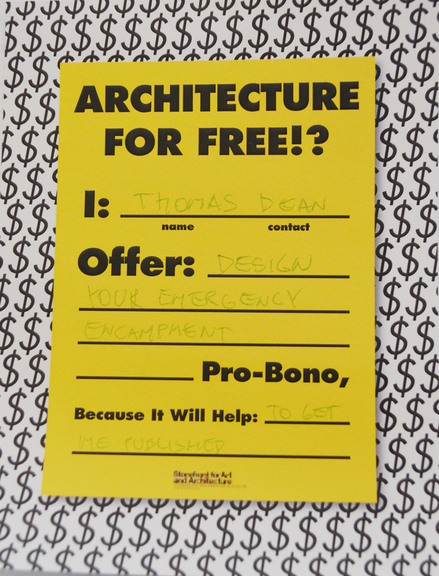 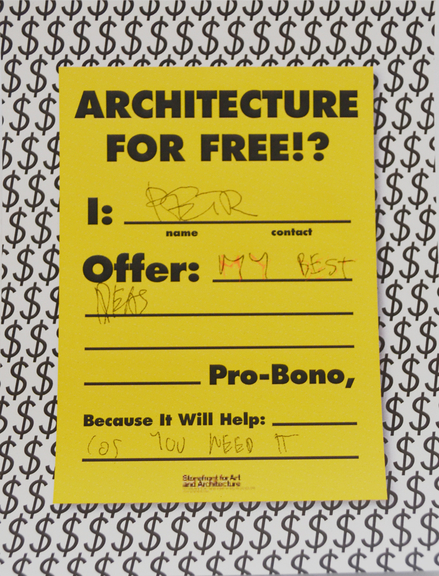 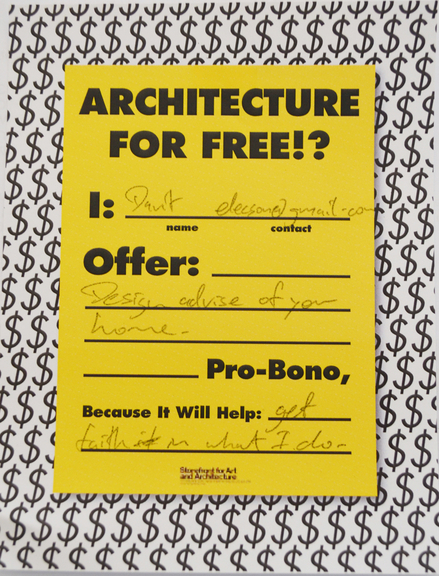 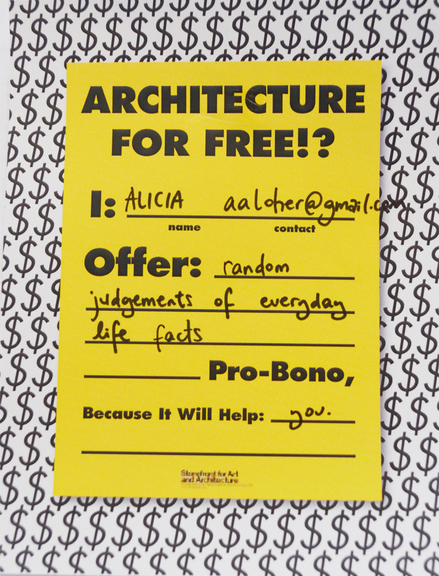 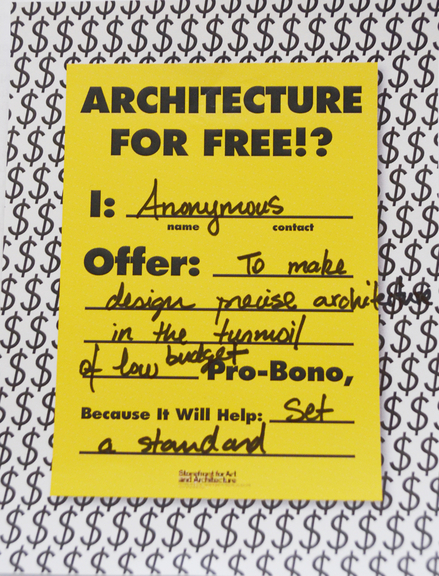 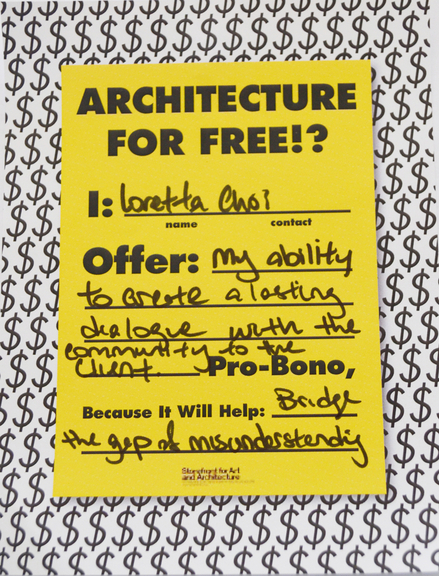 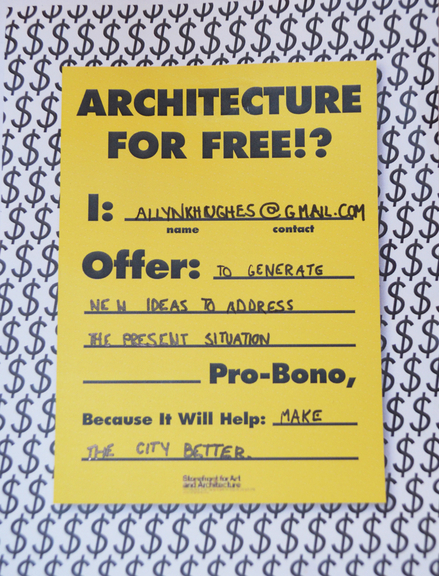 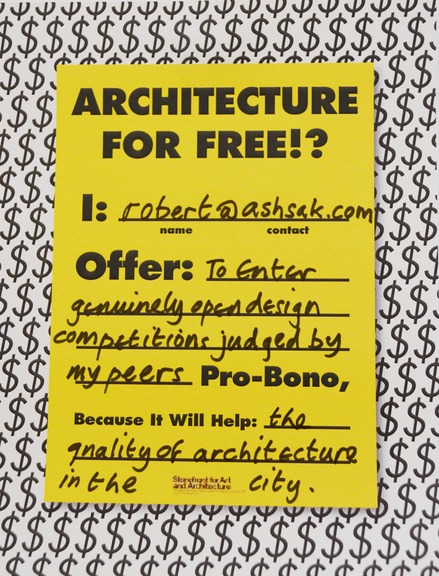 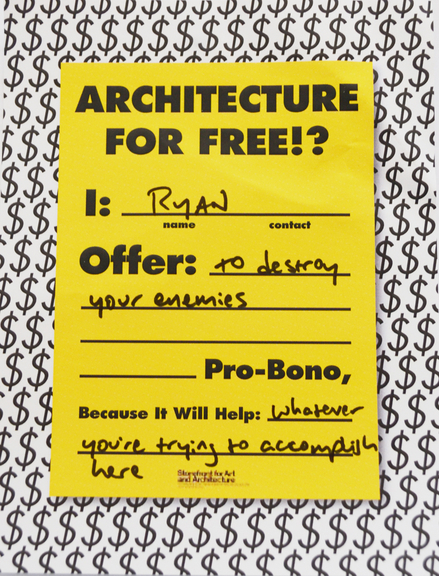 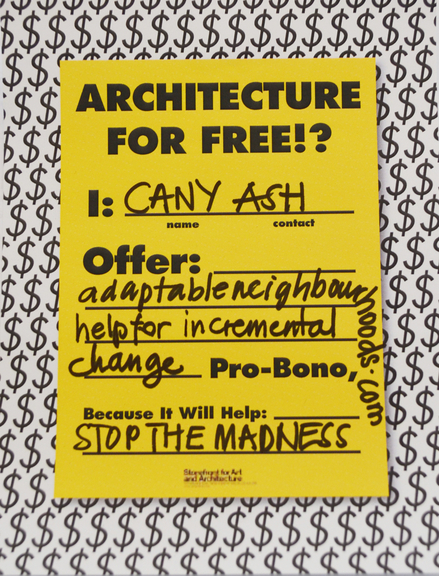 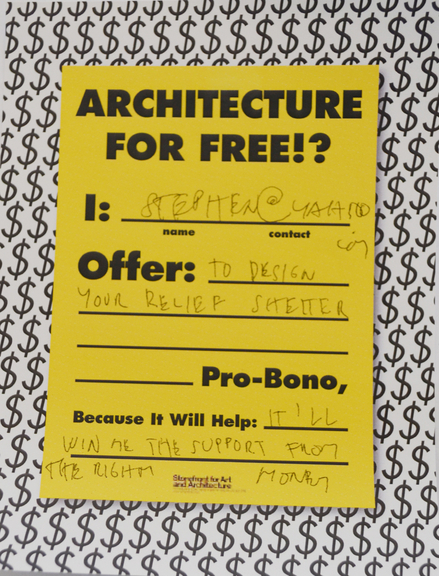 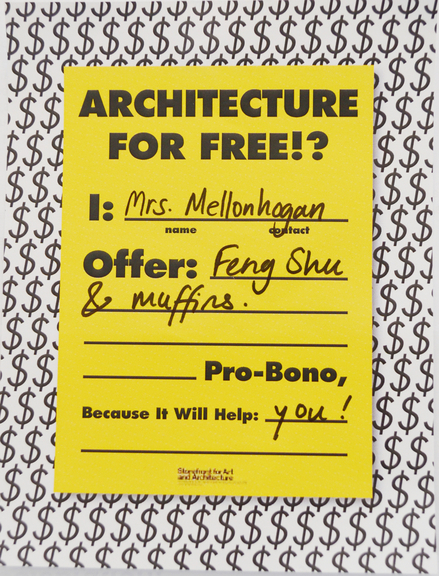 Thus, the notion of architecture pro bono appears as a redundant affirmation. 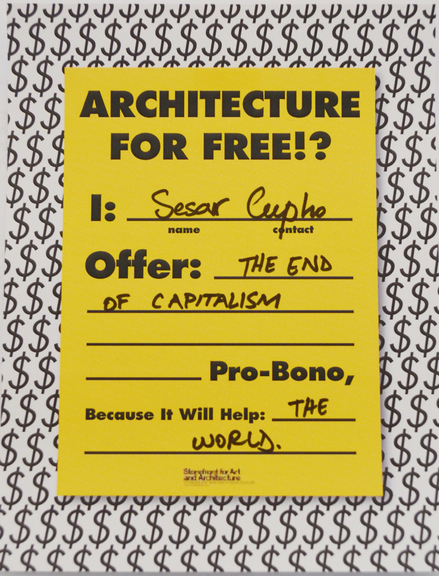 However, the real meaning lying behind the beautiful latinism of pro bono, is the contemporary capitalist counterpart and less exotic “for free” and more precisely, for free for those who are unable to afford it. 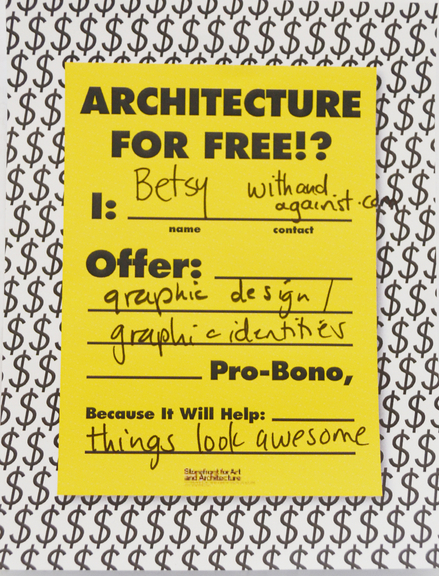 Architecture for Free!? 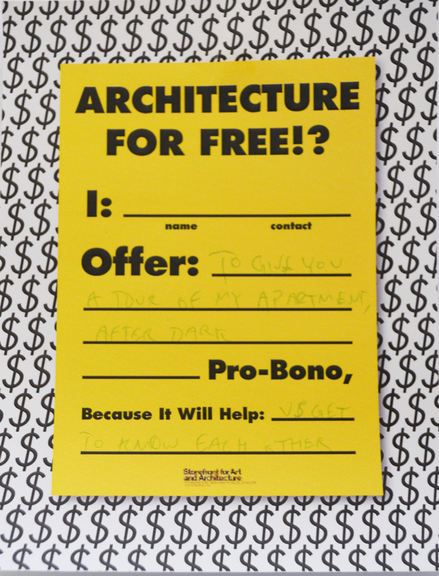 aims to expose what is that that architecture offers pro bono and explore the possibilities lying within this rampant practice in order to see how architecture might be able to find new opportunities for reinvention and territories of exploration. 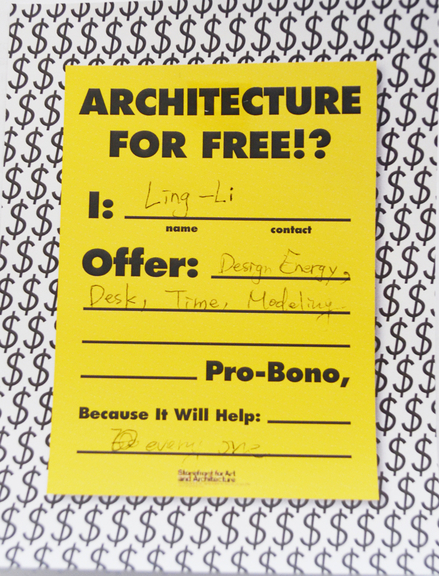 The main event is an “architectural bank,” where the architects and design students in attendance can offer their architecture services. 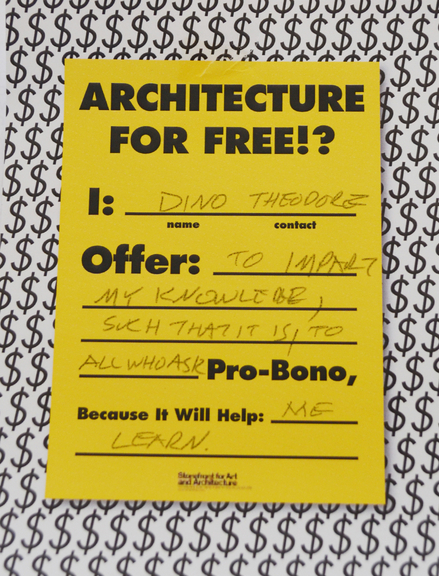 Using the model of the “time bank” which has recently garnered support from Bloomberg as part of a citywide volunteerism initiative, we invite architects to donate their expertise. 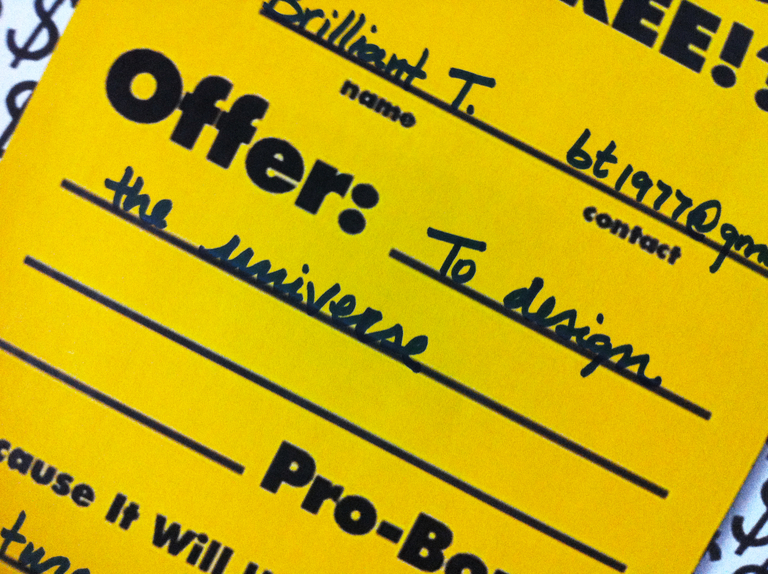 From re-arranging a living room, a city or a planet, we invite you to come and fill in the blank. 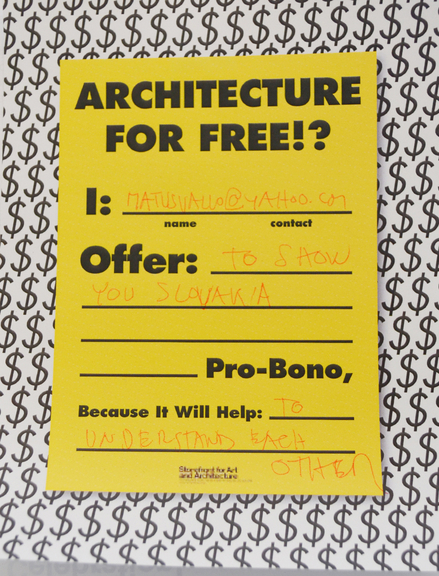 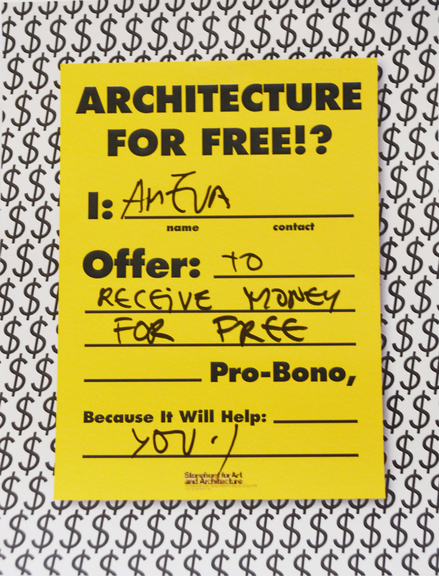 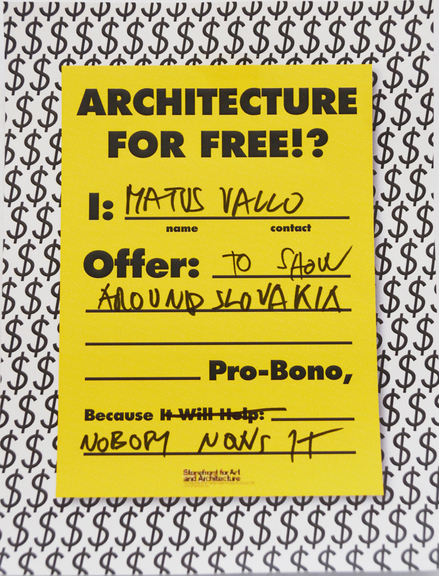 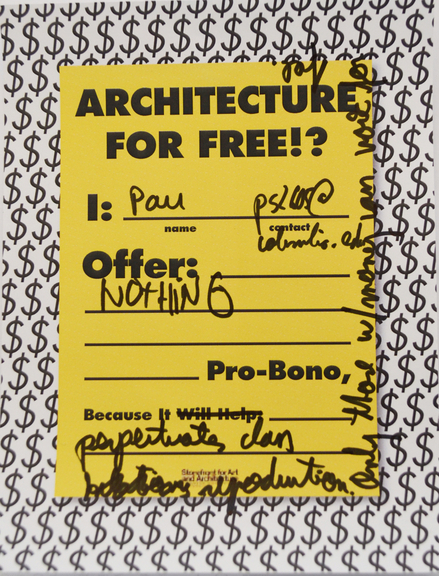 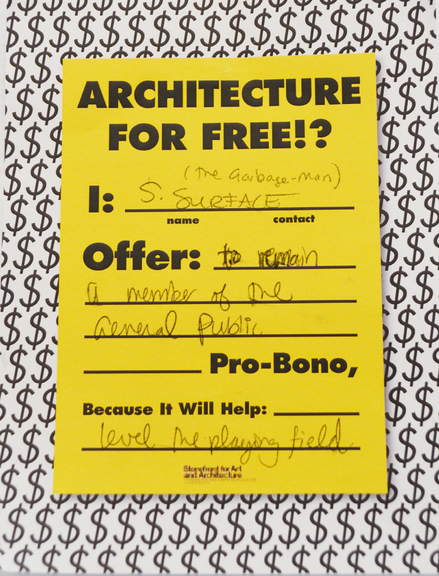 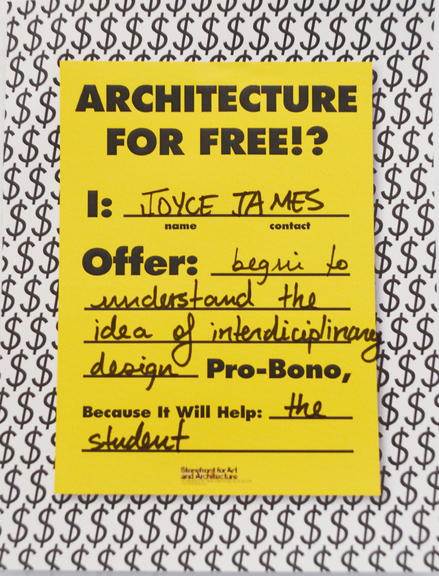 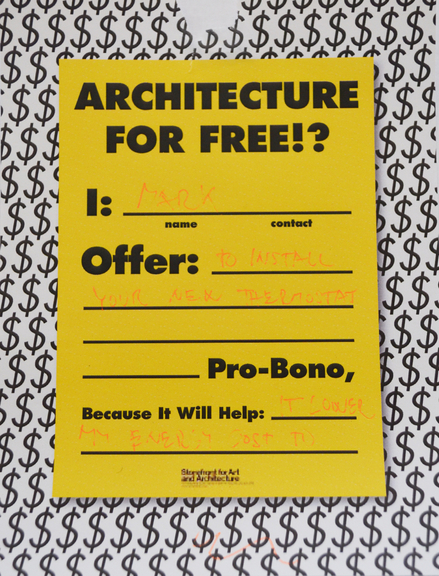 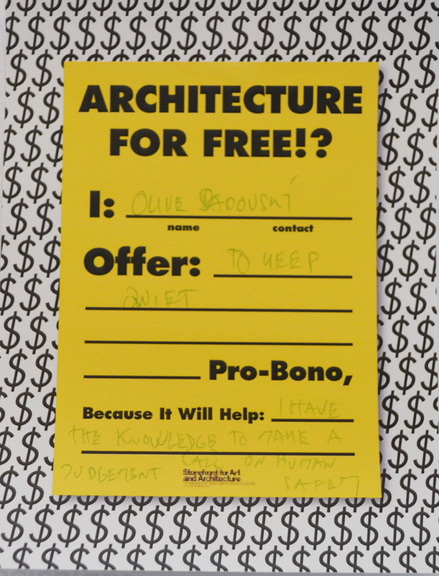 If you want to submit your “Architecture for Free!” you can fill in the attached form and send it to architectureforfree@storefrontnews.org. 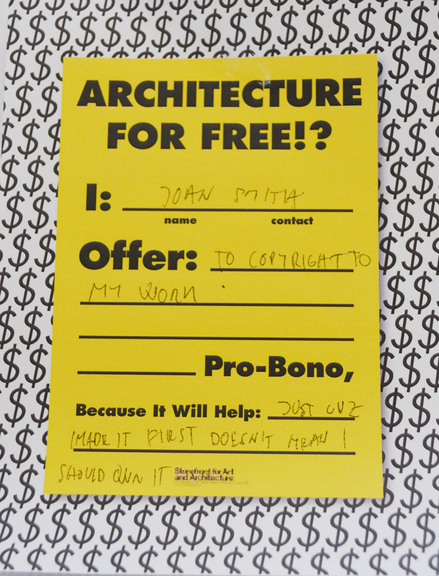 Submited entries will be on display throughout the night and will be part of the digital archive “Architecture for Free! 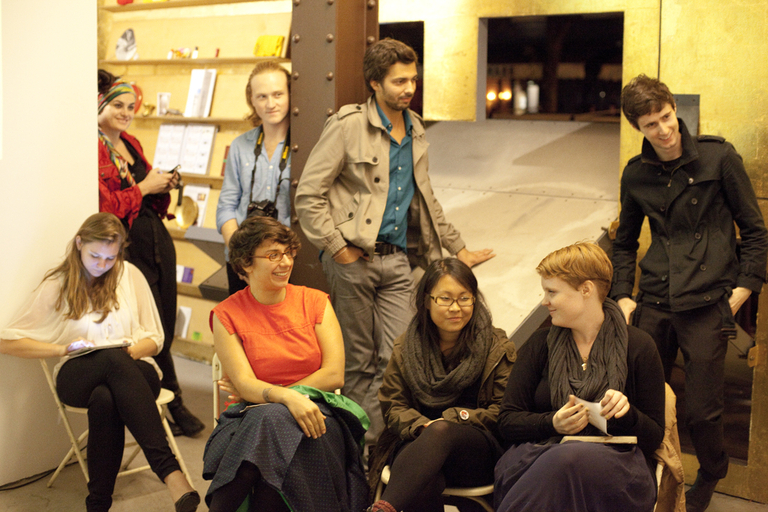 ?” on Storefront’s webpage. 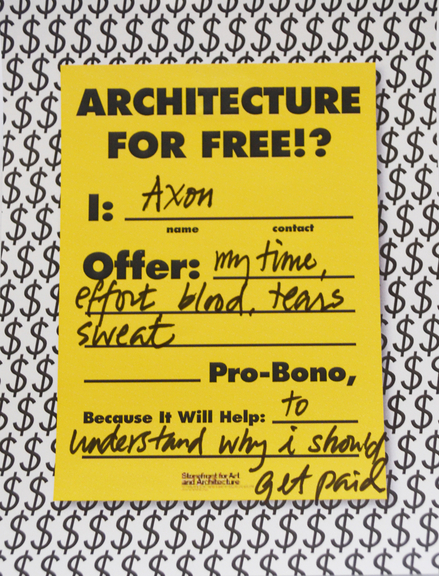 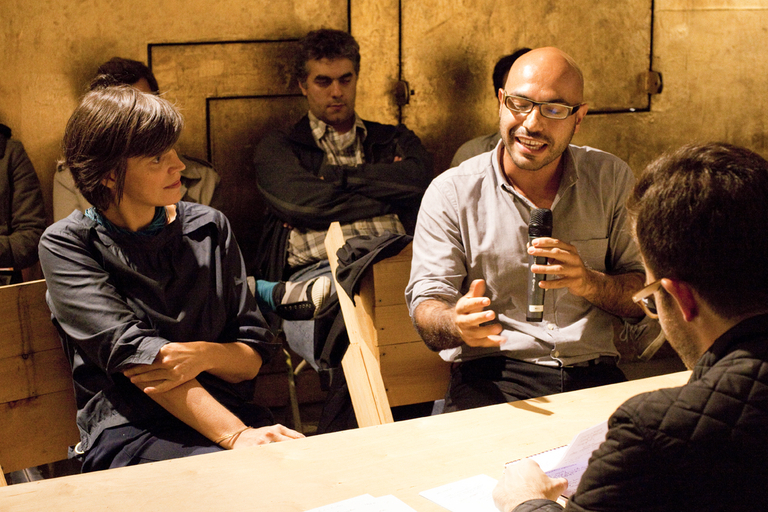 A panel of architects will discuss why we do what we do and why might we do it for free. 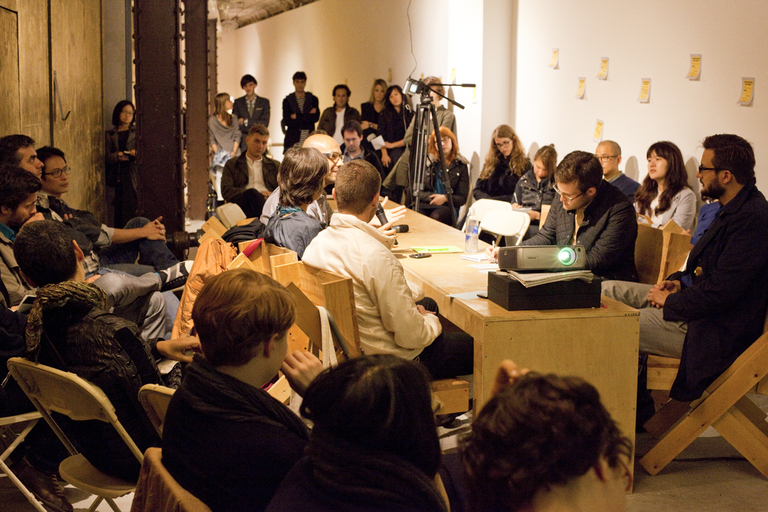 Presented by Storefront for Art and Architecture with Matus Vallo, Simon Battisti, and Justin Fowler, Laetitia Wolff, Dong Ping Wong, and Quilian Riano. 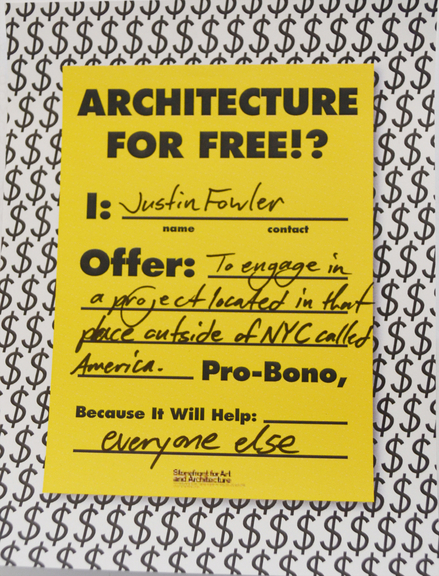 This event is part of Archtober, Architecture and Design Month NYC. 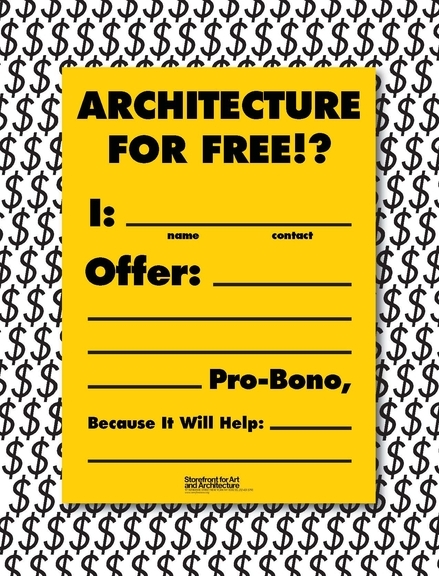 www.archtober.org.